A United Nations conference on indigenous affairs wrapped up its two-week gathering making a host of recommendations, including the worldwide establishment of a mechanism requiring patent offices to publicize the origins of products derived from indigenous knowledge when exclusive rights to the design are requested. The Eighth Session of the UN Permanent Forum on Indigenous Issues also called on States and corporations to involve indigenous people in all negotiations relating to the entry of mining industries, infrastructure projects and other development schemes into their communities. 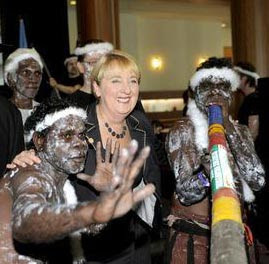 One of the texts approved by the Forum, a subsidiary of the UN Economic and Social Council (ECOSOC), called on the international community to ensure the application of culturally relevant, gender-balanced and gender-based analysis and gender budgeting as critical elements of economic and social development, consistent with the UN Declaration on the Rights of Indigenous Peoples. The Declaration, a landmark text adopted in 2007, outlines the rights of the world's estimated 370 million indigenous people and outlaws discrimination against them. 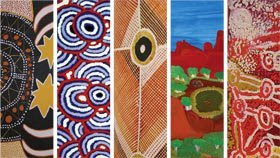 It sets out rights to culture, identity, language, employment, health, education and other issues. The 16-member Forum -- which drew around 2,000 indigenous representatives from all regions of the world, as well as representatives of Member States, civil society, academia, some 35UN entities and other intergovernmental organizations -- approved a provisional agenda for next year, including a half-day discussion on North America.